RUSH: Well, as is the case every day, the news today is just unreal. It’s incredible. For example, in The Politico — are you ready for this? 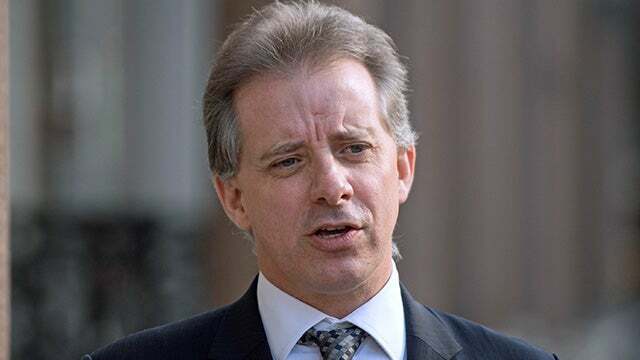 — “The Smearing of Christopher Steele!” The Drive-Bys are now circling the wagons around this clown that made up the phony Trump dossier and are claiming that the Trump campaign, the Trump presidency and the conservative media are trying to smear the guy. The way he’s being treated? He’s been exposed as a fraud! I really hate yelling. I’m trying to sound more like these NPR guys. But I can’t do that, either. But this is just — you just have to laugh at this. 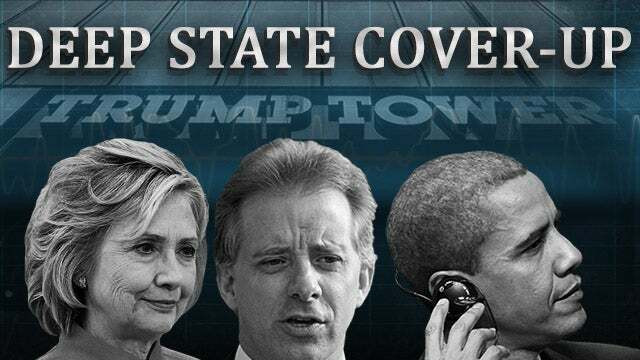 They’re trying to say poor Christopher Steele, the guy that accepted millions of dollars from the Clinton campaign and then made some phone calls to some Russian agents, who told him some fibs about people like Carter Page and Donald Trump and a bunch of other people. And another story: “Christopher Steele Fears Deposition Will Put Dossier Sources At Risk.” So he’s not showing up for this trial because he doesn’t want anything to happen to his sources. Well, understandably; they’re a bunch of liars. They, too, are a bunch of frauds. And the House committee has voted to release Pencil Neck’s memo. You know, I’m not sure about this, but I’m not convinced Pencil Neck thought this would happen. I thought Schiff might think that the Republicans would not vote out his memo. His memo is 10 pages long, and so now it goes through the same process that the Devin Nunes memo went through. It goes up to the White House where Trump and his national security team review the memo and have five days to decide whether or not to declassify it and release it to the public. So Schiff, I think caught off guard, is now forecasting that he’s really, really worried that the White House is gonna start redacting his memo all over the place and that the salient points are gonna be blacked out and covered up and not released. I’m not so sure this guy ever intended this memo to actually be seen. It never leaked, which is a first. It never leaked. It was I think meant to be a talking point and an unseen weapon, if you will. It was to thought of and noted as, “Well, there’s another version of this. The Democrats have it. And they’re not releasing it yet. And the Republicans don’t want it released. The Republicans don’t want you to see this.” And then that gets blown to smithereens because the Republicans voted unanimously to release this little guy’s memo. The Democrats did not vote to release the Nunes memo. Now, yesterday we had on the program Devin Nunes himself. And he referred to another memo. He referred to another aspect of this story which then kind of broke last night. I had it in the Stack yesterday and didn’t get to it. And it’s the letter that Chuck Grassley has sent regarding similar activity in the State Department, the Obama State Department, similar activity there as what was going on in the FBI with the Steele memo, the dossier and so forth. 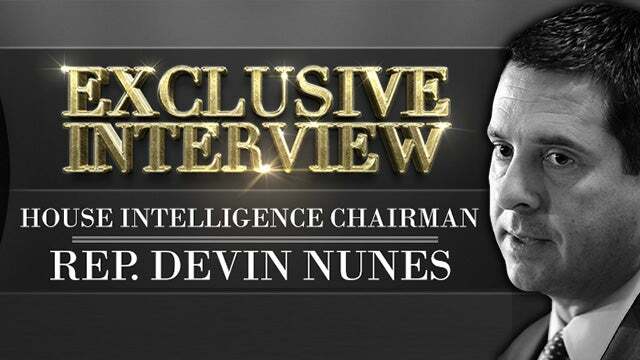 Nunes didn’t get into a whole lot of detail about it because I don’t think he wanted to preempt it, but it did break. The bottom line here is we are learning more and more every day of the corruption of the Obama administration. And I think all of these efforts, like this story, the smearing of Christopher Steele, everything here is to protect Obama. When you get right down to the fundamental thing here, what everybody is trying to do on the left is protect Obama, not just Hillary. And I will explain this in due course as the program unfolds. Schiff worried White House will make political redactions to Democrat memo. “Clinton Associates Fed Information to Trump Dossier Author Steele, Memo Says.” This is the Grassley and Senator Graham memo. And the nuts and bolts of this are that the memo from Chuck Grassley and Lindsey Graham, which is now public, provides new insight into Steele’s circle of contacts during that time. It’s heavily redacted, but the memo states that Christopher Steele said he received information that came from a foreign sub-source who is in touch with redacted, a contact of redacted, a friend of the Clintons who passed it to redacted. So now we’re finding out that some of the dirt in this Steele dossier did not just come from Russian sources, but it came from Clinton supporters. There isn’t any doubt what happened here. There isn’t any doubt what went on here. The battle is between people like us and the deep state, who are trying to keep hidden what they did. They’re trying to put a lid on it. They’re trying to cover it up and make sure that it doesn’t escape in what they consider to be credible media, which would be the Drive-Bys. But the scope of this is far larger than any of us knew. And many of us thought it was big to begin with. But the scope of this is far larger now. You know, it was bad enough that Hillary Clinton bought and paid for the dossier. It was bad enough that Steele used sources from Russia that he talked to on the phone, never even went to meet them in person, and they feed him with bogus information after bogus information. Now we find out the Clinton campaign people, Clinton supporters, were also talking to Steele. Then we find out that Fusion GPS wanted to have an in at the State Department. They were paying the wife of Bruce Ohr a salary or a payment of some kind. She was on their payroll. So that gave them a source inside the DOJ via her husband, and all of these people are on text messages talking about how to stop Trump, “insurance policies,” along with Peter Strzok and Lisa Page. “Clinton associates were ‘feeding’ allegations to former British spy Christopher Steele at the same time he was compiling the controversial anti-Trump dossier paid for by the Democratic National Committee and Clinton campaign, according to an unclassified memo from [Chuck Grassley and Lindsey Graham] who recently made a criminal referral” on this. They know who it is. It’s just the names so far have been redacted. You know, all this under the premise of maintaining national security.